Back in August I had the pleasure of meeting top podiatrist Nick Knight on my Running Repairs Course. I knew from chatting prior to the course that Nick really knew his stuff so I was delighted when he agreed to write a guest blog for us. He very kindly wrote a really comprehensive piece which I have divided into three smaller blogs for you to enjoy. Before I begin, I would like to thank Tom for asking me to write a blog, Tom is a very knowledgeable physiotherapist and I feel privileged to write this blog for his site. The aim of this blog is to discuss the role of orthoses, try to change peoples current views on how we use and prescribe them. If anyone wants to discuss items in more detail, I am more than happy to do so. Orthoses are used by the diabetic and high risk populations in ulcer prevention, to help reduce the risk of falls and also within the paediatric groups. Whilst I will touch on these areas briefly, the main focus of this blog will be on the running population and athletes. Orthoses are commonly used in the treatment of lower limb musculoskeletal injuries and are frequently used in the treatment of runners. 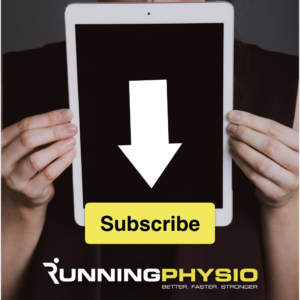 However, there are some runners and health care professionals who believe that orthoses are harmful and should never be used, hopefully by the end of the blog they will have a fresh perspective! The first question to answer is what are foot orthoses? Answer – they all are! To me, orthoses are another tool in the box, another way to treat a problem. It saddens me when I read blogs by other health care professionals stating that they tend to avoid using orthoses; this is where I feel that change and better understanding are needed. Some people assume that orthoses are nothing more than a bit of plastic or carbon fibre that must be worn at all times. This is not necessarily the case, Orthoses can be made up of any material, and can be just a simple shoe lining modification. There seems to be a stigma surrounding orthoses that once you have them, they are for life – this is not necessarily true. Yes for some people orthoses are required for life; however others maybe only need them for 6 weeks. The amount of time needed depends on what the end goal is with the orthoses. A good example of orthoses aiding treatment, is patellofemoral joint pain. Often in this problem there is proximal weakness (i.e. the Gluteal muscles) and people can find the strengthening exercises irritable, we can use orthoses to help with knee control, until the proximal weakness has been addressed, then re-assess and quite often remove the orthoses. Orthoses are similarly useful whilst treating a lateral (outside) ankle sprain, the use of a lateral wedge can be very helpful to offer some stability and pain reduction, however may be removed once the ankle has been strengthened. Below is an example of a simple shoe lining modification that takes 30 seconds to do and cost less than a fiver, using a full length medial (varus) forefoot post, that may be used in the treatment of patellofemoral pain. It can be used in the short term to help reduce pain, and help facilitate the exercises, however once the strength has improved can be removed. In order for Orthoses to be successful, they need to be adaptive. For example, If we think of orthoses like we do glasses, our glasses prescription can change, we have reading and driving glasses, Why? Because the eyes are doing different tasks. It is the same with the feet. Different types of Orthoses are required for different activities. This leads nicely on to orthoses for running and orthoses for walking. Foot function is different within running and walking, footwear is different (trainers tend to have more space available with removable lining, so the prescription and shell stiffness is often different), for this reason, it is common for people to need orthoses for running and a second set of orthoses for walking. An example of this is in treatment of medial tibial stress syndrome (often labelled 'shin splints'), orthoses with a full length medial (varus) forefoot post is often used. If, however, orthoses for walking are required you would not use the full length medial post, as this can be uncomfortable. It is about keeping the orthoses process personalised to treatment goals and the patient. Off-topic – it is a myth that you have to go up one shoe size in running shoes compared to day-to-day shoes. It is important to focus on the fit and not the size as sizes differ between footwear companies. More on orthoses and footwear later. Summary: orthoses have varying forms and roles and can be a temporary treatment option as well as a long term one. Different activities may require different types of orthoses due to the difference in foot function. Orthoses can be a valuable tool but they are one of many different treatment options and should be used alongside rehab considering the needs of the entire limb and the goals of the individual. Coming up in part 2… How do orthoses work? Good article. I also don’t understand the reasoning behind sports clinicians wanting to remove foot orthoses from the shoes of their patients as soon as possible, thinking that perhaps, the orthoses are somehow harmful or are acting “as a crutch”. Having been a sports podiatrist now for over 30 years and having made over ten thousand of pairs of foot orthoses during that period for athletes and non-athletes, I believe that much of the negative comments I read from those who have little experience with foot orthoses is either based on bias or ignorance. I routinely seen patients that have been wearing my orthoses daily for over 10 years and wouldn’t want to go running without them. I have never, during my three decades of practice, seen a pair of foot orthoses make an individual’s foot “weaker”. On the contrary, upon relieving the symptoms that an individual had with my custom foot orthoses, I often see the runner coming back with a stronger foot and lower extremity due to the extra training mileage they can now do since the orthoses are keeping them injury free. In addition, I think it is a mistake to plan on trying to take well-functioning foot orthoses out of the shoes of an athlete, or non-athlete, just because some “self-proclaimed expert” blogged that foot orthoses somehow weaken the foot or lower extremity. There is absolutely no scientific evidence that prescription foot orthoses weaken feet any more than there is scientific evidence that prescription eyeglasses weaken eyes. If the foot orthoses are comfortable and relieving injury of the individual then I tell my patients to continue wearing them. If the individual is experiencing problems possible related to the foot orthoses, then I tell my patients to take them out of their shoes until I can try to troubleshoot them or tell them to quit wearing them completely. It is really that simple.